Originally Built in 1936 and reopened in 2014, the Cordell Hull Bridge crosses the Cumberland River in Carthage, TN. Work on the bridge began in 1934 and is named after the former US Secretary of State Cordell Hull who lived in the area. The bridge is a 3 span continuous truss at a length of 1412 ft. with the main span over the river at 316 ft. The southwest side of the bridge reaches highway US70N which runs along a bluff near the river. The northwest side intersects with Main St. near the city's central business district. The bridge was added to the National Register of Historic Places in 2009. 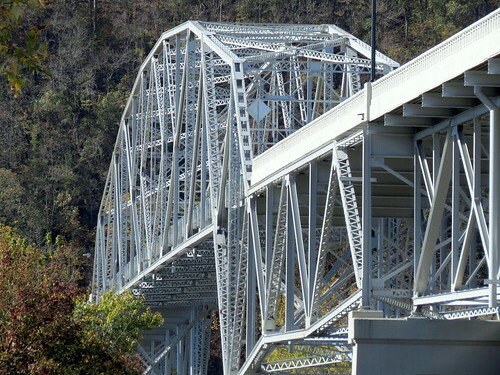 The bridge was closed in 2007 when a routine TDOT inspection found the superstructure was in critical condition. Repairs began in August 2011 and they replaced all of the concrete bridge deck and guard rails. The remaining truss, lattice work and rivets were preserved with blast cleaning and then painted white. (It had been green.) The bridge reopened on July 2, 2014. 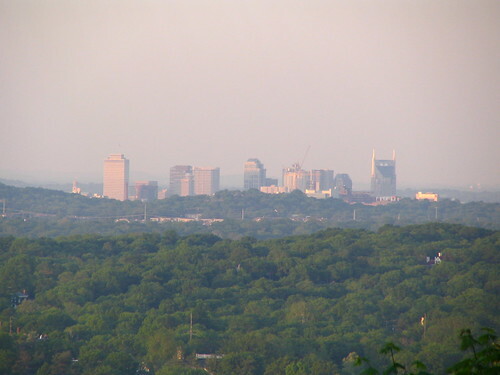 Luke Lea heights offers perhaps Warner Parks' best view of Nashville. In downtown Chattanooga, TN, located inside the northern terminal for the free electric shuttle, known as CARTA, is a series of 7 3D art / paintings focusing on local attractions. 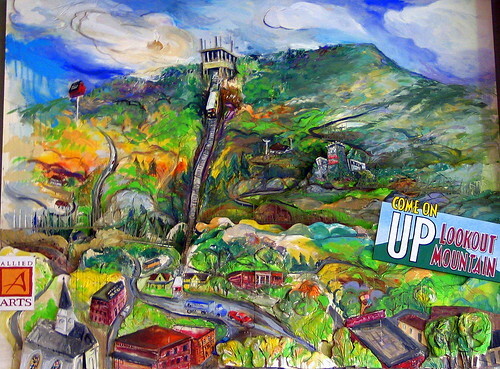 This image represents many of the attractions on lookout mountain, such as Rock City, Ruby Falls, and the incline railway, but also features some of the sights in the St. Elmo community at the bottom. The spikes were added to prevent birds from perching there. 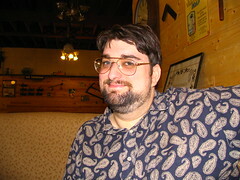 Here are links to all seven images, if you want to see the others. 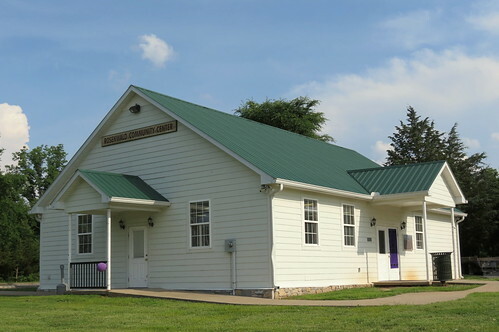 Located in Hilltop-Rosenwald Park in Smyrna, this community center was built to look identical to the Rosenwald School that had been at this location decades earlier. The park is full of markers discussing local African-American history. 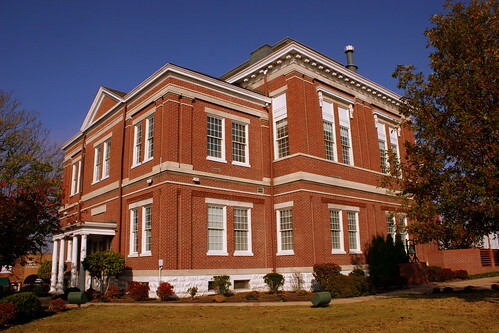 This is Tipton County's third courthouse, and the second to be located in the middle of Covington's town square. Finished in 1889-90, it was designed by the McDonald Brothers for $24,500. The north side was at the time considered the main entrance as it leads into the grand lobby, but while I was here, more people used the south side. Both entrances have an awning held up by four columns, although the one on the south side has only been there 2 or 3 decades. The south side also has a sidewalk that leads up to and around a Confederate statue. I was here on a Saturday morning and they had classic rock music playing the whole time I was there. There were also wreaths on the doors even though it was the first week in November, so I'll let you decide if that's a good or a bad thing. This courthouse originally had a nice clock tower. However, in 1909 a tornado came through and damaged the tower and the roof. The county hoped to repair the damage at some point, so they placed scaffolding around the tower for a long time. They put off the repairs for while to the point that the roof was close to caving in so in 1928 they removed the tower so they could repair the roof and it's been without the tower ever since. Happy Labor Day! Here's a scenic overlook that you can visit today. 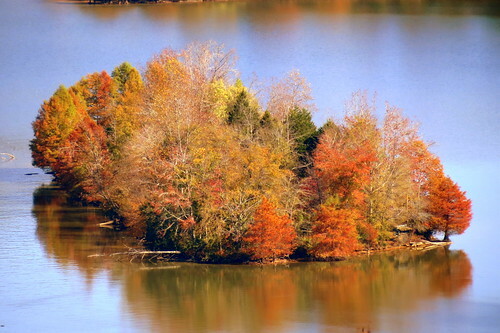 Tater Knob is a mountain in Smith County. 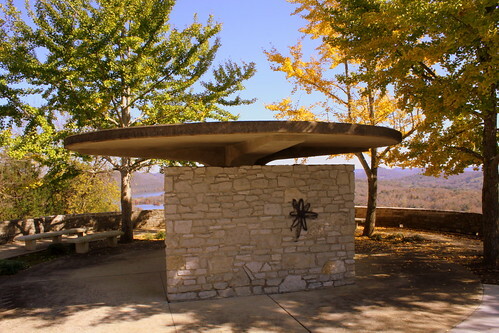 At the top is an observation deck which provides a scenic overlook of Cordell Hull Lake and Dam. 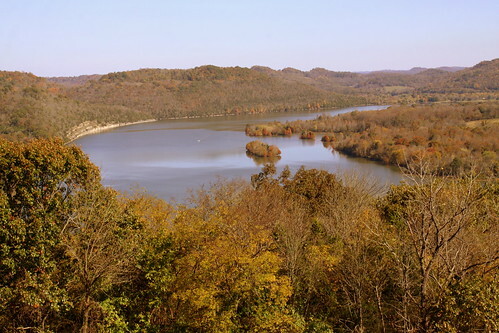 Cordell Hull Lake is a lake in the Cumberland River in north-central Tennessee, about forty miles east of Nashville, in the vicinity of Carthage. It covers approximately 12,000 acres. 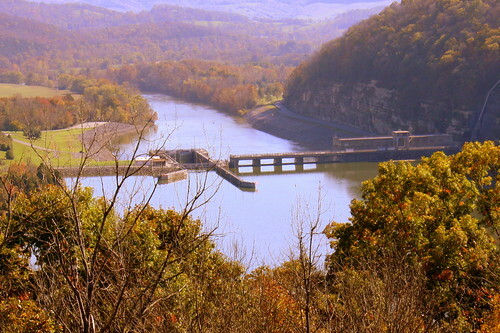 Cordell Hull Dam impounding the Cumberland River was built by the United States Army Corps of Engineers between May 1963 and November 1973 for navigation, hydroelectric power generation, and recreation. The dam is concrete and earthen gravity structure, 87 feet high (above streambed), with a generator capacity of 100 megawatts. It impounds 259,100 acre feet at normal maximum pool, with a maximum flood storage of 310,900 acre feet. 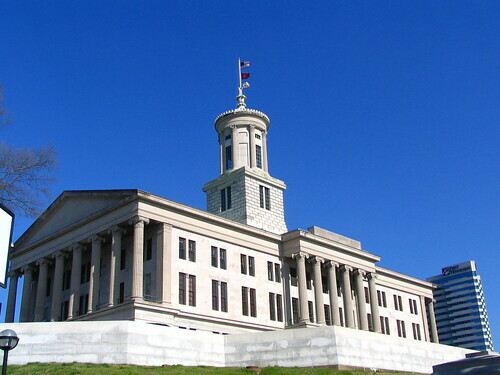 Both are named for Cordell Hull, former United States Secretary of State. This church is located 1/4 mile north of US64 in Belvidere, TN (in Franklin County) along Owl Hollow Rd. In 1873, the church was founded by Swiss-German settlers as the German Reformed Church and was the first such church in Tennessee. The church became the center of Swiss culture in this area which was noted for its advanced agriculture techniques. 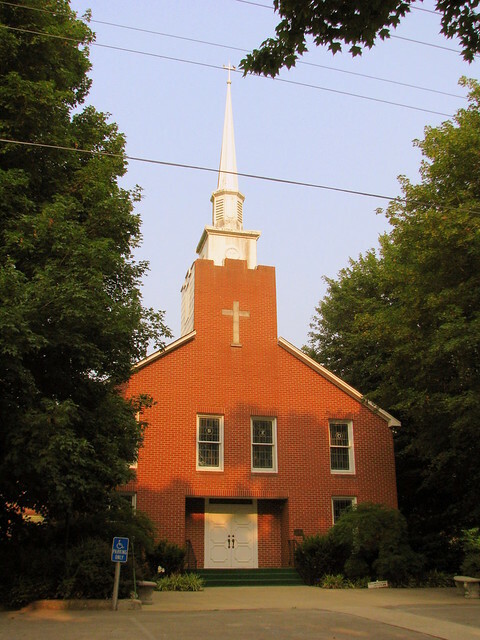 A 1934 union created the Evangelical and Reformed Church. In 1957, this denomination merged with the Congregational Christian Church to form the United Church of Christ. This brick railroad depot in Tuscumbia, Al was built in 1888 by the Memphis & Charleston Railroad which became a part of Southern Railway. Memphis is 145.4 miles away and Chattanooga is 164.6 miles away. 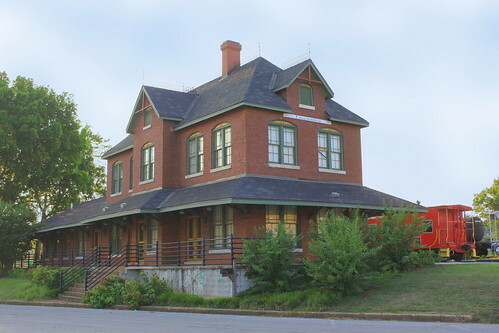 Known as the Fifth Street Station, Southern eventually abandoned this passenger station a few miles away to accommodate the entire Shoals area. The depot is now being restored to its original condition and has become a museum.